The Seychelles is a gorgeous archipelago in East Africa, in the Indian Ocean. This nation, including over 92,000 residents, is famously known as an alluring coastal holiday destination. The Seychelles offers you scenic beaches, thrilling outdoor activities and exceptional cuisine. Popular attractions include Praslin Island’s Anse Lazio, Mahé Island’s Morne Blanc, and La Digue Island’s Union Estate Park. Pack in your hats and sunscreen, because cheap flights to the Seychelles are now available for a limited time! The Seychelle’s hub airport is Seychelles International Airport (SEZ), a convenient 15-minute drive from the city centre of the capital, Victoria. Seychelles International Airport serves several airlines, including Air Seychelles. Popular direct flights to Victoria are available from Johannesburg and Cape Town. The flight duration from Johannesburg to Victoria is approximately 4 hours and 55 minutes. The islands of the Seychelles are renowned for picturesque coastlines. Spend your time relaxing on pristine sands and enjoy magnificent views of the Atlantic Ocean at locations such as Beau Vallon, Anse Source d’Argent and Anse Réunion. The Seychelles has enjoyed a reputation for the preservation of its exceptional animal kingdom. 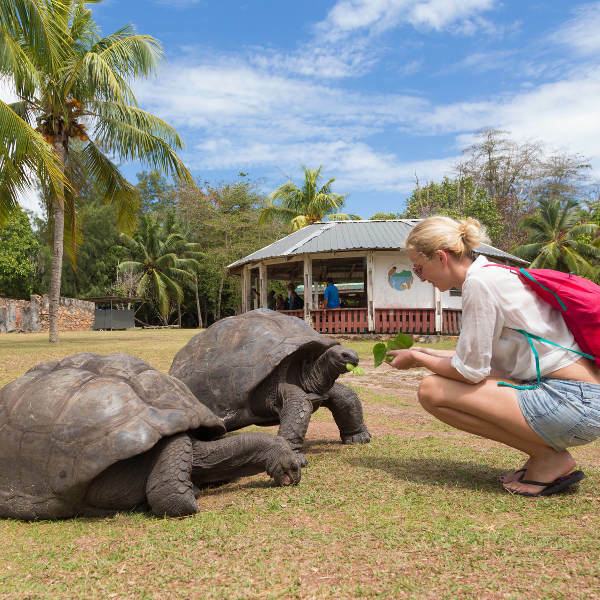 Meet a variety of animals which can be found nowhere else on earth, including giant tortoises, the Seychelles warbler and the Seychellum alluaudi (a freshwater crab). Time spent exploring one of the many islands of the Seychelles will give you the wonderful opportunity to enjoy excellent outdoor activities. Go hiking along the trails at Morne Blanc and Le Glacis Noir, indulge in boat tours, and discover another world with scuba diving and snorkelling. 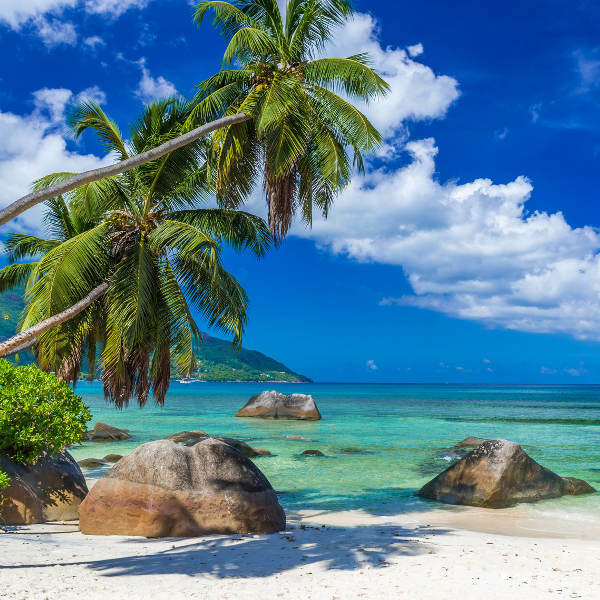 The lush greenery you’ll find in the Seychelles is due to the country’s tropical climate and generally humid conditions, with hot weather and varying volumes of rain throughout the year. The summer (June – September) and the winter (December – March) are the most popular times to visit, so be prepared to book well in advance to get the best hotel rate and to experience this archipelago along with a high volume of visitors. Should you wish to discover the Seychelles with a more relaxed atmosphere, book your flights for the periods between the months of April and May (spring) and between October and November (autumn). April to May has only a few days of rainfall and since it sits ahead of the summer season, you’ll have the guarantee of lower hotel rates and a lower influx of tourists. With plenty of pleasant weather, enjoy the ideal opportunity to lounge on one of the archipelago’s many scenic beaches. From October to November, you’ll get more days of rainfall, but still plenty of lovely beach weather. The increase in rainfall will also give you the perfect chance to admire the lush greenery of the Seychelles' many jungles and magnificent nature reserves. The 115 islands of the Seychelles present a wonderful opportunity for a memorable tropical island experience. With some of the world’s loveliest beaches, unspoilt jungles, flourishing coral reefs, UNESCO-awarded nature reserves and so much more, this archipelago in East Africa has all it takes to reel you in for a fantastic holiday in the magnificent Indian Ocean. The most developed areas for tourists are the inner islands - Mahé, Praslin and La Digue - which include numerous lavish five-star resorts and many alluring beaches. The largest and most developed island – Mahé - is home to the capital, Victoria, and additionally is the location of the country’s hub airport, Seychelles International Airport. 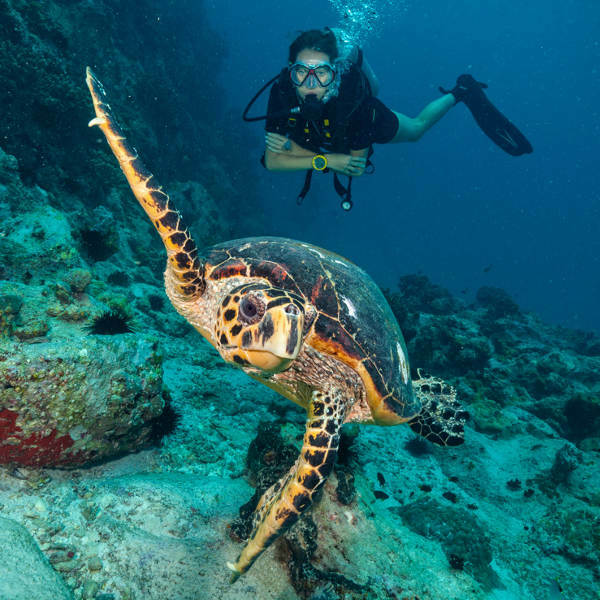 You could spend your time on this island exploring its more than 60 stunning beaches and coves, hiking across the scenic Morne Seychellois National Park or enjoying the thrilling experience of snorkelling with whale sharks. The second largest island – Praslin – offers a more relaxed setting compared to the vibrant Mahé. It includes the breath-taking World Heritage-listed Vallée de Mai, one of only two locations on earth to find the rare coco de mer palm tree in its natural state. This valley is also the place for bird watchers: watch out for the Seychelles black parrot, the Seychelles blue pigeon, the Seychelles bulbul and the Seychelles kestrel. La Digue – another serene destination, boasts enchanting bays and luscious hills populated by dense jungles. One of its greatest highlights is the access it gives to the surrounding islands, such as Félicité, Grand Soeur and Île Cocos. Indulge yourself in wonderful adventures exploring the natural attractions in the Seychelles. Compare several airlines and book your cheap flights to the Seychelles online at Travelstart! You will not need a tourist visa to visit the Seychelles for a maximum of 30 days. Your passport must be valid throughout your time exploring this collection of islands. The South African High Commission in Mauritius is accredited to the Seychelles. Get all the routine vaccinations before your trip to the Seychelles. Additionally, you may need to get vaccinations and medication for hepatitis A and typhoid (both spread through contaminated food and water), hepatitis B, and rabies (spread through bat and dog bites). Make sure to get mosquito and tick repellents and wear light, long-sleeve clothing, since bites from these bugs may spread other diseases. Due to varying water quality, make sure to avoid ingesting any fresh water, especially in lakes, rivers and ponds. While it’s expected to wear bikini tops at the beaches, they are not acceptable at places of worship and at upscale establishments. When visiting venues such as these, it’s better to wear dress shirts and long trousers.